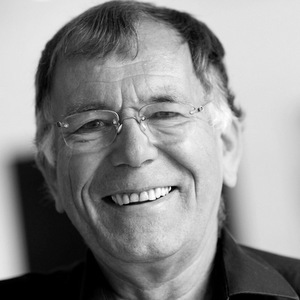 Colin Marshall sits down in the Copenhagen offices of Gehl Architects with founding partner Jan Gehl, architect, Professor Emeritus of Urban Design at the School of Architecture in Copenhagen, and author of books including Life Between Buildings, Cities for People, and How to Study Public Life. They discuss what important change occurred in Copenhagen in 1962, and what led to it; the midcentury “car invasion” in Europe and the first modern shopping mall’s construction in Kansas City; the re-emergence of the notion that “maybe pedestrians should walk”; the connectedness of walking in Copenhagen, which ultimately forms a “walking system”; the dullness of the anti-car position versus the richness of the pro-people one; the two movements of modernism and motorism, at whose intersection he found himself upon graduating from architecture school in 1960; what it meant to study “anti-tuberculosis architecture,” and what it meant to build for the old diseases rather than the new ones; his marriage to a psychoanalyst and ensuing interest in increasing architecture’s attention to people; how his PhD thesis became Life Between Buildings, and why that book has endured for over four decades in an ever-increasing number of languages; how first we form cities, and then they form us; what we can learn from Venice; the urban “acupuncture” performed on various American cities today; his long enjoyment of Melbourne; why we’ve only so slowly awoken to our dissatisfaction with the built environment; the loss of cheap petroleum and stable nuclear families, which propped up suburbia; how he and his team systematize and use their knowledge of cities to examine and assist the use of public space across the globe; and all he finds totally unsurprising about man’s use and enjoyment of place. This was written by Colin Marshall. Posted on Friday, December 6, 2013, at 6:12 pm. Filed under Copenhagen, Notebook on Cities and Culture. Bookmark the permalink. Follow comments here with the RSS feed. Post a comment or leave a trackback.